For these nails I mixed a few different polishes. 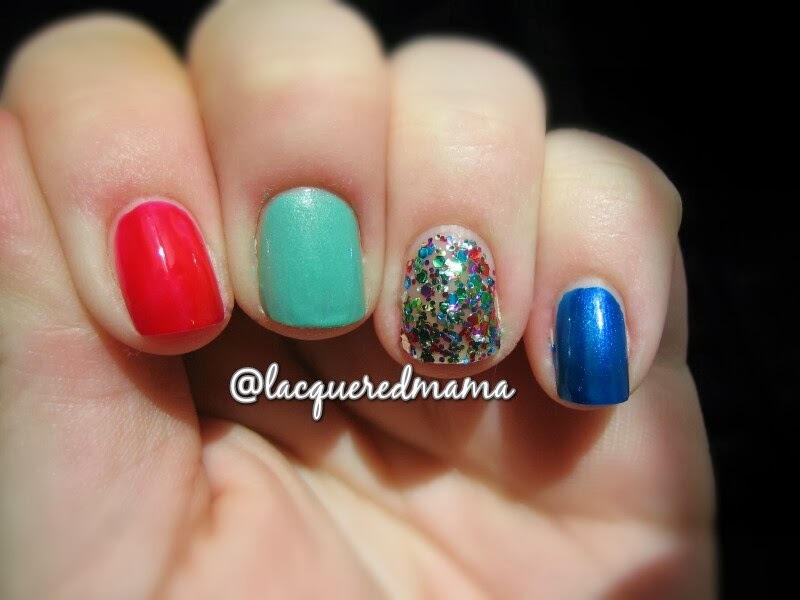 I really like the look of not only accent nails, but wearing different colors on each nail. These colors went together very well. Sinful Colors GoGo Girl is 2 coats with topcoat, Mint Apple is a pretty shear, so it took 3 coats plus topcoat and the Sally Hansen Blue It was amazing with just 1 coat with topcoat. 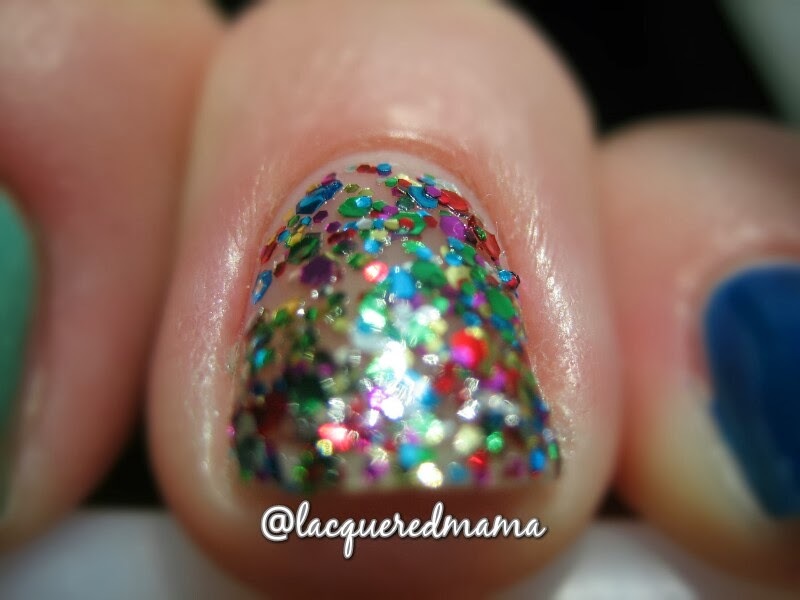 Sinful Colors Pride is a beautiful glitter bomb with flecks and glitter from every corner of the rainbow. My only gripe with this one is that it was very thick. I had to use a toothpick to spread it out evenly. Using the brush seemed to remove glitter. Overall I love this combo!